The upcoming release of the new album Alternatives Metallers New Disorder was in the air for a few weeks now, fresh with a record contract with the Spanish label Art Gates Records (Noctem, [In.Mute], Scala Mercalli). And here comes the announcement of the record label that reveals the title and artwork of the new studio work of the band from Rome. 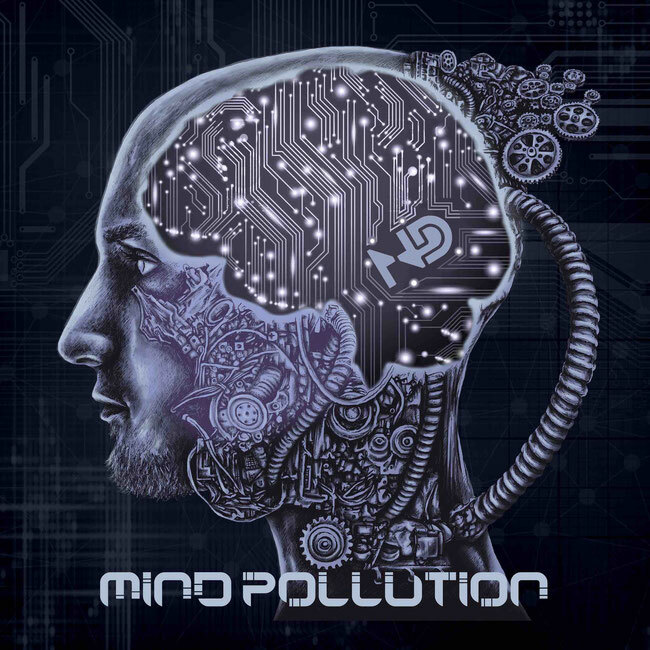 "Mind Pollution", this is the title of the album, will be officially released in all digital stores and in physical format on March 15th. "We worked hard to get the best out of ourselves in terms of ideas, arrangements and, of course, sound.We can say that we are fully satisfied with the result obtained thanks to the collaboration in studio with Antonio Aronne (producer at Studiocompresso Recording Studio) We believe that this work fully represents the essence of New Disorders in 2019, the result of the maturity of almost 10 years of previous history and of the enthusiasm of wanting to renew once again ". After the release of 3 albums: "Dissociety" (2013), "Straight to the Pain" (2015) and "Deception" (2017), and after having been several times on tour all over Europe and taking part in big festivals together to artists like Pain, Jinjer and Betraying the Martyrs, the New Disorders are ready to shake the world metal scene with the 10 powerful and emotional songs contained in the new album "Mind Pollution".